If you need a bit more summer in your life (I love fall, but I must confess I so enjoyed the 80 degree temperatures here yesterday! 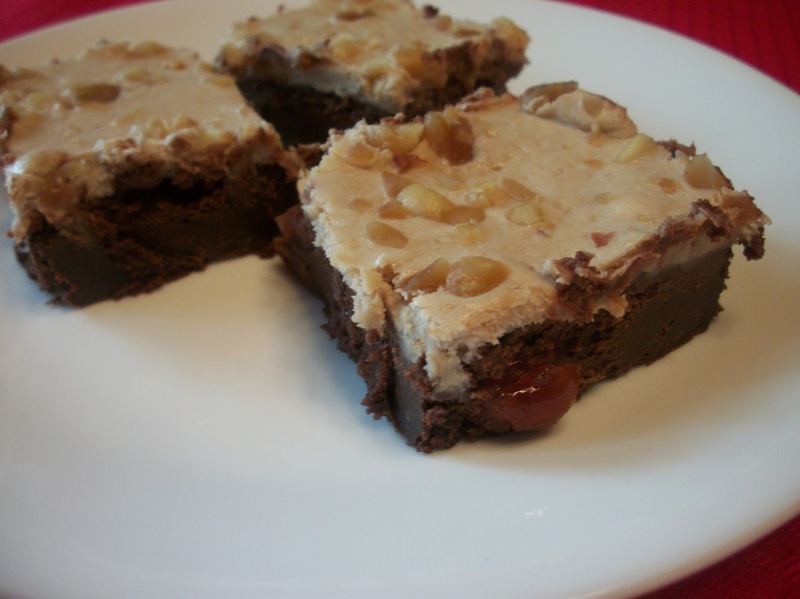 ), try these brownies. All the goodness of a banana split baked into a bar form. A dense, rich, fudgy brownie is filled with chopped up cherries and then topped with a creamed cheese topping laced with banana and strawberry. These are delicious. I did find the brownies a bit TOO dense and fudgy for my taste. Next time I make these, I will use the brownie base from Mississippi Mud Bars, which is perfect. Either way, I think you will love these bars - so fun and different, and a wonderful accompaniment to ice cream! Find more great stuff at Inspiration Monday, Inspire Me, Mix it Up, Clever Chicks, Try a New Recipe, Create Link Inspire. In a medium bowl, combine butter and chocolate. Heat in the microwave at 50% power in 1 minute increments, stirring between heatings, until mostly melted. Stir until smooth. In a large bowl, beat eggs and sugar on high speed 5 minutes. Stir in vanilla and chocolate mixture. Gradually stir in flour. Fold in cherries. Spread into a greased 9x13 baking pan. Bake at 350 40-45 minutes or until topping is set and a toothpick inserted in brownie portion comes out mostly clean. Cool completely on a wire rack. Cut into bars. Store in an airtight container in the refrigerator. Makes 2 dozen. Mmm. 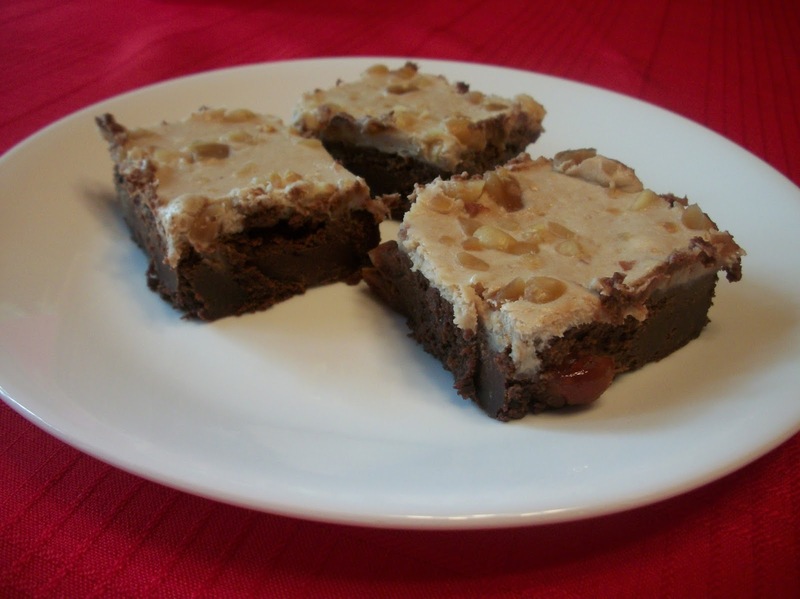 I like dense fudgy brownies! I love that the cherries are in the brownies. They sound delicious!